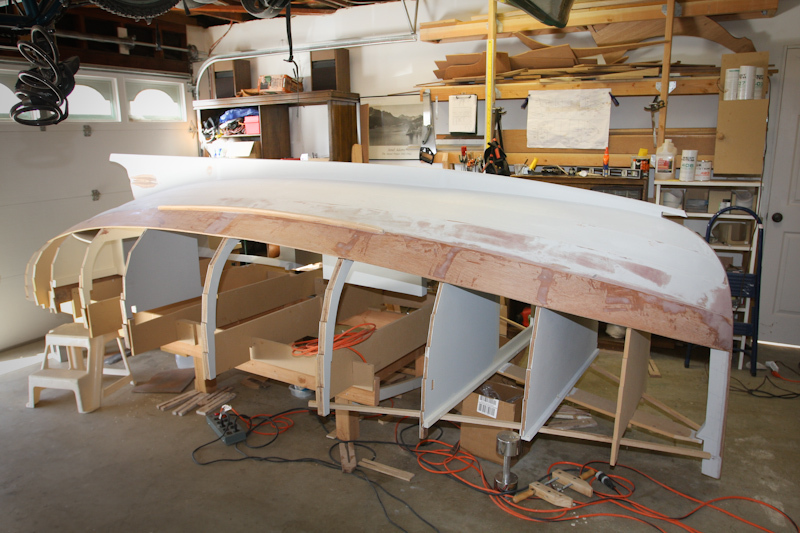 After installing the 4th board I started and completed the Bilge Keels. These are made from oak stock. 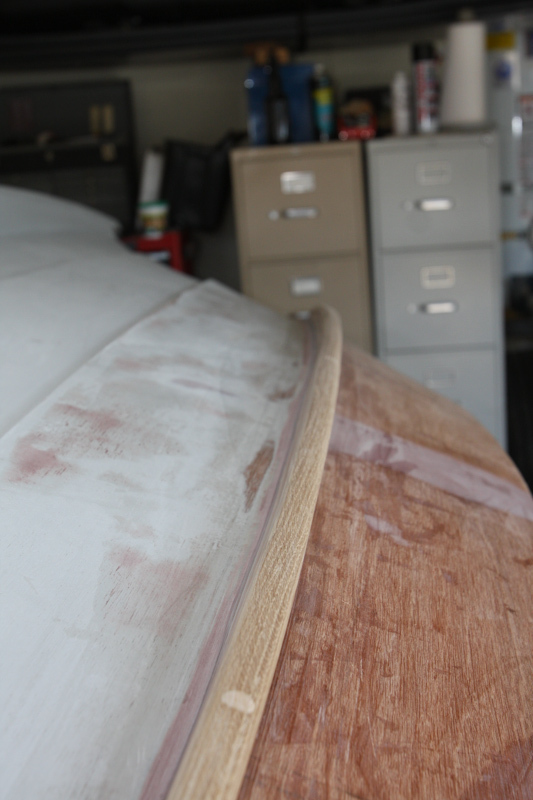 I first rough cut the compound curves to closely match the shape of the hull then shaped to the finish look. I attached mine permanently with epoxy and stainless steel screws. 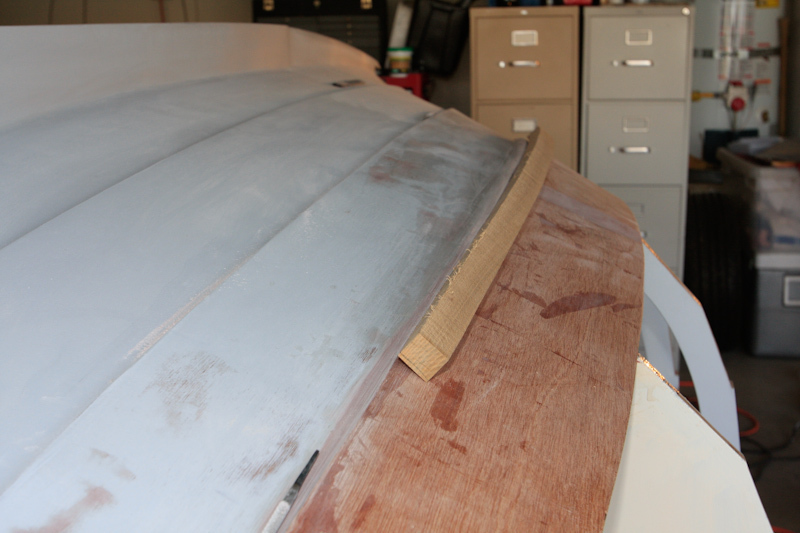 They can also be attached with screws and bedding compound if you want the ability to replace once they wear out.